Haute-fidélité French Hi-Fi magazine awarded in November 2017 the EX332-2 by a "Best Buy" Award. Read the French article in PDF. L’EX-322.2 delivers 2x 100W RMS and 1x 280W into 8 Ohms thanks to its high-performance (500VA Toroidal transformers). The EX-332.2 incorporates a WIRELESS receiver that allows listening to music from your tablets & smartphones. The front panel of the EX-332.2 has touch buttons lighting up a soft white when on. 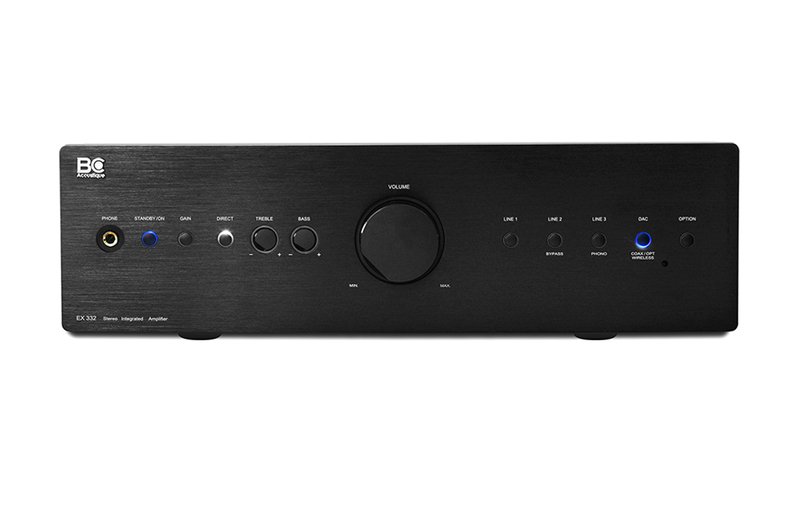 Thus, the amplifier offers a choice of four stereo inputs (including the Optional input). 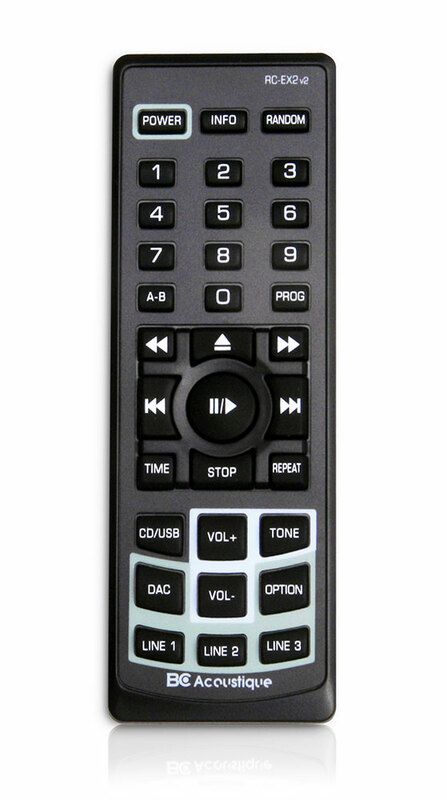 Pressing the corresponding button activates a relay switch sources, unless one prefers to use the supplied remote. Line 1 input uses balanced XLR connectors. The DAC button actives a digital input on the back of the amplifier button. 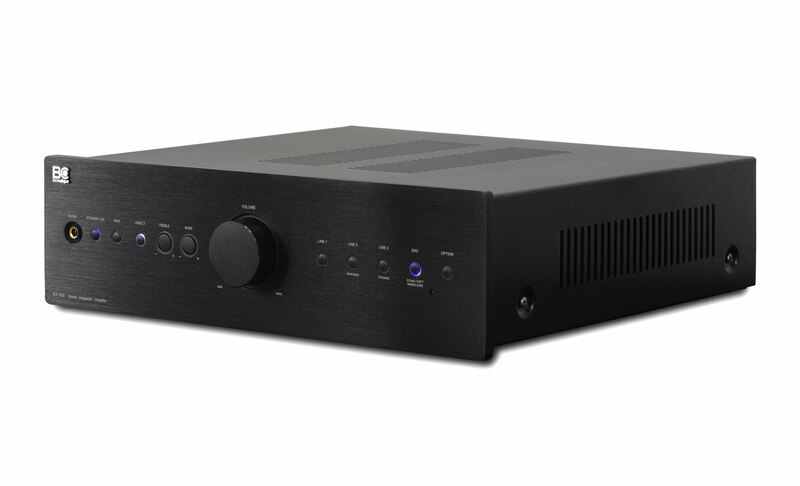 It allows listening to the digital source connected to the amplifier through the integrated digital-to-analog converter. 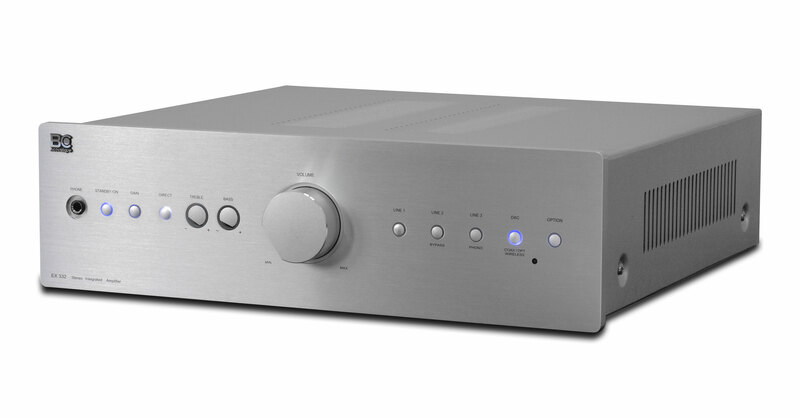 You can leave connect two sources (one on Optical input, and the other on the Coaxial input) and activate the one suits you the best by pressing the DAC button. The GAIN control allows you to lower the overall gain (-10dB) for all of your sources. This allows you to adjust the fineness of the volume control depending on the sensitivity of your speakers and your listening level. The volume adjustment is provided by a network of resistors and non-inductive accurately switched by relay of high quality. This device provides a highly accurate adjustment and perfectly neutral for the audio signal gain. The EX-332.2 has an integrated digital audio converter. 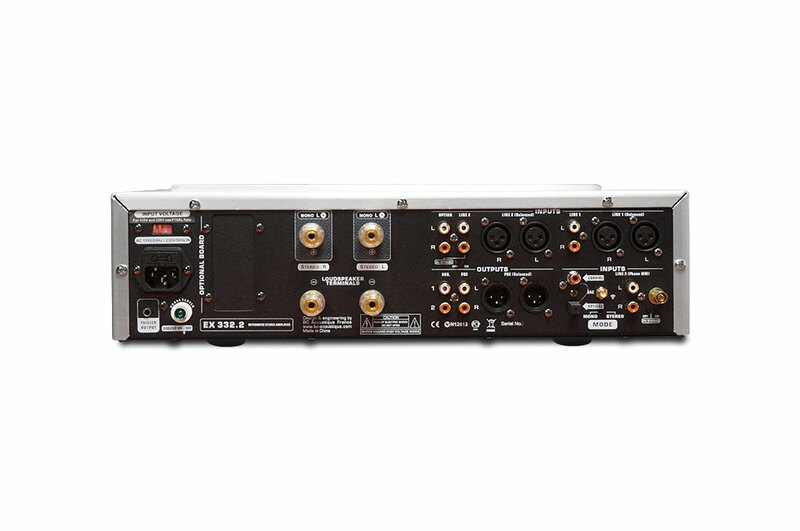 This module, with Cirrus Logic CS8416 digital interface and a Burr Brown PCM1793 converter configured to 48 kHz at 24 bits, has two inputs: One S / PDIF coaxial and optical Toslink connector on EIAJ. When selecting the DAC front panel or via the remote control, the button circle of white, indicating selection of the S / PDIF. A second press of the button illuminates its periphery in red to signal the switching of the optical input on EIAJ Toslink connector. To improve the flexibility of the EX-332.2, it provides a line level output, from the preamplifier section, intoRCA (unbalanced) and XLR (balanced) formats. This feature allows the addition of a power amplifier to perform a bi-amplification. Finally the EX-332.2 has a phase tester to optimize the "wiring direction" of connecting the power cord. It allows detecting the correct phasing of the power supply and reducing the leakage current at the minimum.